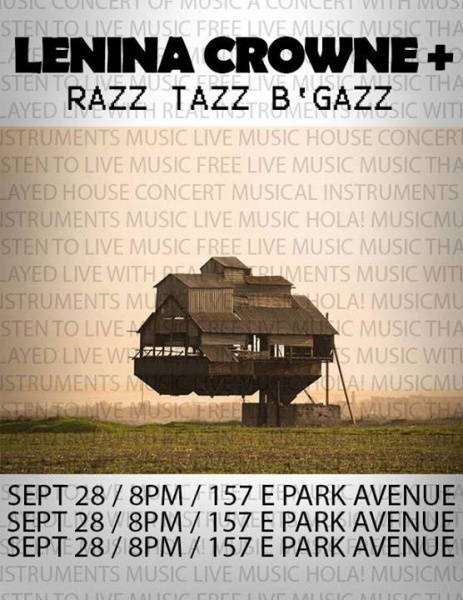 Lenina Crowne takes the stage with special guests Razz Tazz B’Gazz and Vic’s Machine. The show will be taking place on Park Avenue at the Had Knots House. The first band, Vic’s Machine, will go on at 8pm, followed by Razz Tazz B’Gazz and Lenina Crowne. This event is free so put on your best listening ears, grab a friend and come join in on the excitement. Check out the video from Lenina Crowne’s last performance at the Liza Minnelli house!